Power, data and technology at your fingertips. 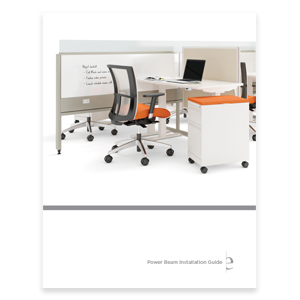 This simple, elevated raceway product can be used in conjunction with any Global desking, storage or table series. 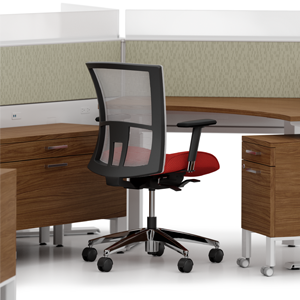 Raceway height options offer flexibility to support collaborative and individual work. 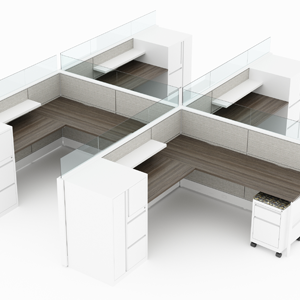 The modular design makes it easy to use, integrate and expand to suit any application with two leg choices and your choice of fabric, glass, laminate, white board, air flow and open extensions providing multiple design possibilities. Power Beam brings power and data to you. Standard duplex outlets, powered USB receptacles and data outlets may all be housed along the beam for easy access no matter the application. 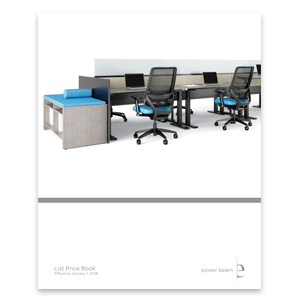 With three heights (24”H, 30”H, 36”H) as well as multiple configuration options (straight, 90º and 120º connections), Power Beam allows you to create a multitude of configurations using either height adjustable or fixed height tables. 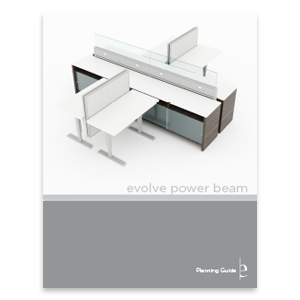 Power Beam takes the best of it’s systems DNA to also provide delineation along with power and data access for casual meeting areas without compromising the ability to charge devices. Visit Power Beam typicals page. Download the Power Beam pricelist by section. Copyright © Evolve Furniture Group All Rights Reserved.